Is it a fractured cusp or a split tooth? The difference matters! What is the cost of chipped tooth repair? You may find yourself searching for the answer to this question and coming up with very few answers. 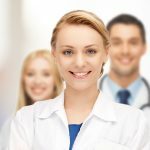 As we’ve covered in other blog posts, the cost of any dental procedure can vary from state to state, practice to practice, and case to case. It’s often more helpful to ask the following questions before you go to see a dentist about your chipped tooth, because ‘affordable chipped tooth repair’ can be difficult to quantify. Question 1: What kind of chipped tooth do I have? There are five main classifications of chipped teeth. Craze lines are small surface fissures that appear like little lines, generally with age. Because they only affect the outer enamel, they are of little concern health-wise. You get a fractured cusp when a piece of the tooth’s chewing surface breaks. Depending on the severity of the fracture, it could make little difference, or it could make chewing difficult or your smile uneven. Split teeth. This advanced condition generally means that the tooth is beyond repair, and the interior of the tooth is in grave danger of developing an infection without the protective enamel intact. Vertical root fractures are cracks that begin at the root and spread down. They are generally unnoticeable until they cause infection. Question 2: How serious is the damage? Firstly, it can cause you pain and lead to further complications. Cracked teeth will only get more cracked over time, and–if left untreated–will likely cause you to lose that tooth entirely. A vertical root fracture generally only makes itself known by infecting the bone and gum around it, so you have no option but to take care of it when you discover it. Any mouth infection is a dangerous infection, given the proximity of the jaw to the brain. Secondly, even low-impact craze lines or fractured cusps can cause aesthetic damage and leave you feeling vulnerable, insecure, and dissatisfied with your smile. While fixing chipped teeth can incur some costs, those costs are generally heavily outweighed by the satisfaction and joy of being at ease with your smile. Who can put a pricetag on the value of feeling good in your own skin? Question 3: What will happen if I let things go? There are several certainties about chipped teeth. They never get better on their own. They could cause serious oral health issues down the road. They will most likely damage your self esteem. All of these factors mean that ignoring a chipped tooth won’t make it go away. If you can live with it, then great! However, most cases of chipped teeth need professional intervention to prevent rising costs down the road. So what can you do? Affordable chipped tooth repair is probably seeming much more important right now, but finding good care at affordable prices is always daunting. 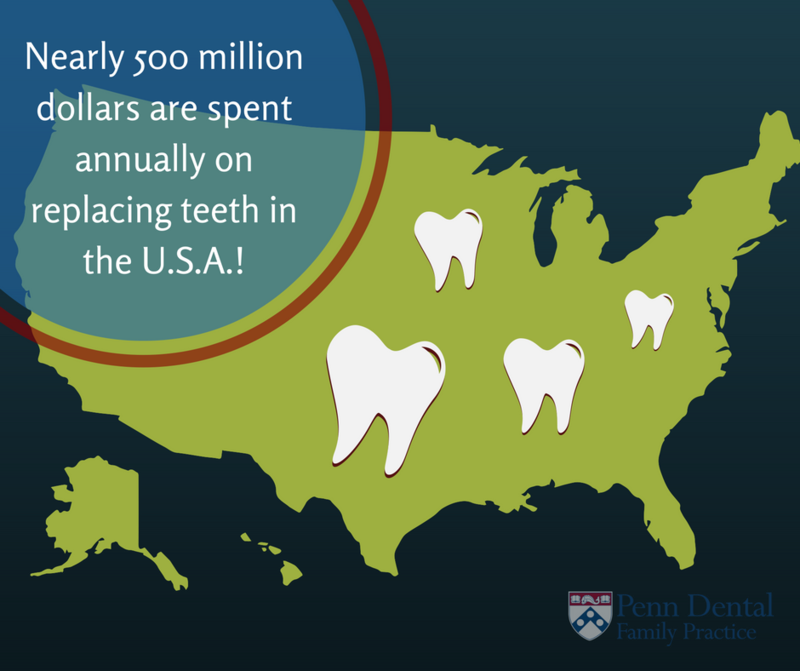 However, nearly 500 million dollars are spent annually on replacing teeth in the U.S.A.! Fortunately, Penn Dental Medicine offers excellent and affordable chipped tooth repair. No matter what the problem, Penn Dental Medicine can help. For more information, contact us today!